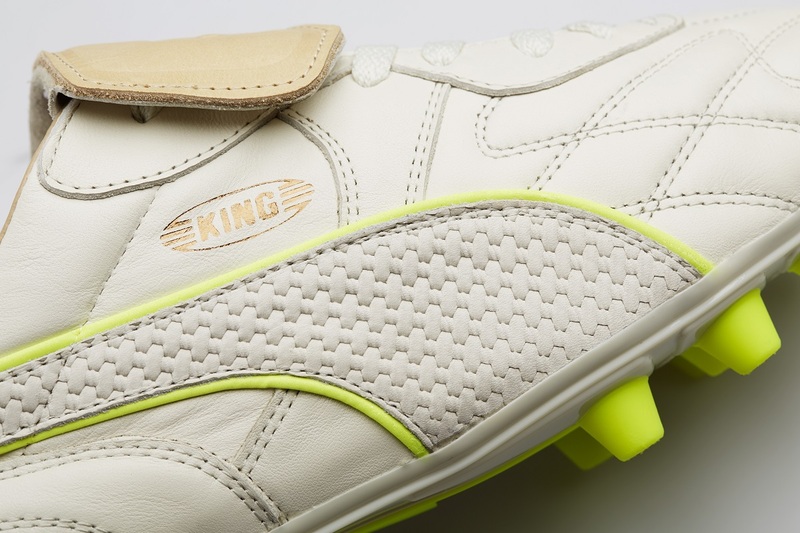 When it comes to traditional boots, they don’t get much better than the Puma King. In recent years, we have seen several modern style editions released, and they haven’t quite lived up to expectations. 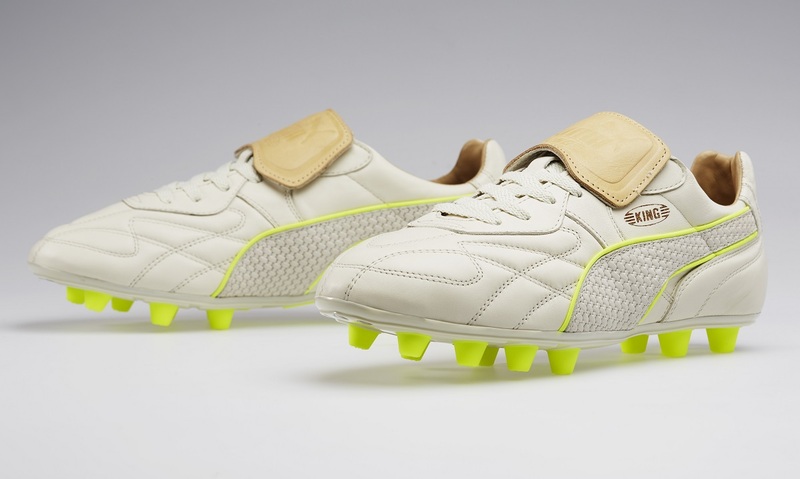 But today, continuing a tradition 48 years in the making, Puma has brought the real King back. What makes this version so special is that fact they are “Made In Italy” with special attention to the details that have turned it from boot to legend. The one thing we have learned about the ‘made in Italy’ mark is that it promises pure craftsmanship. The country has long had a reputation for fine, handmade shoes. 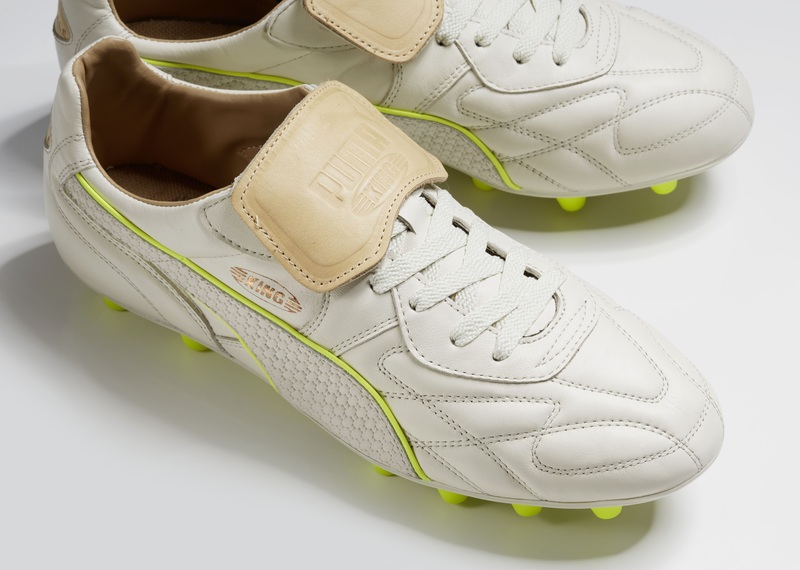 This PUMA King M.I.I (it’s official name) showcases the value of handmade football boots with every single stitch. Its construction relied entirely on the individual skills of the artisan who paid exceptional attention to every detail from toe to tongue. It’s a King that was made with a careful, artistic touch, and that delivers on its legendary promise of touch, ready to take its place in the world as the finest of all time. There are several key detailing aspects with this boot. The signature Puma hit on the side features a wicker style pattern, with interweaving material setting a unusual look. 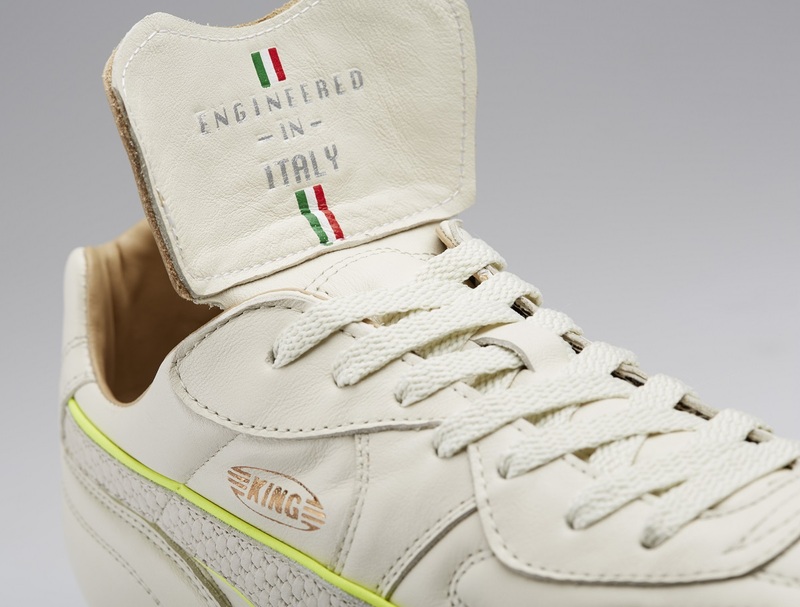 Under the foldover tongue, Puma has added “Engineered in Italy”, while a “naturale” text hit sits on the heel. There are 2 different colorways released in the pack; a Brown/Blast Red and this White/Safety Yellow edition. Both offer tradition styles with clean angles and curves in the right places. 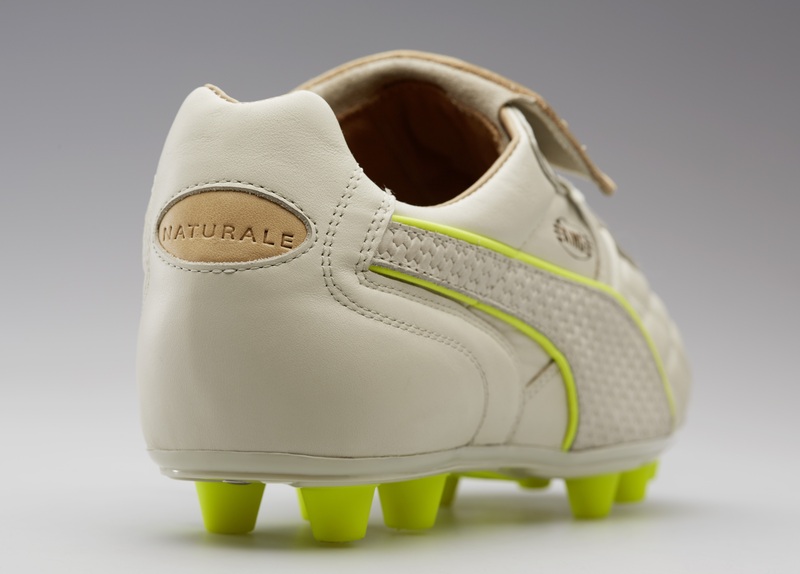 The PUMA King has been worn by kings. Kings from Portugal to Brazil, from the Netherlands to Argentina. More than a boot, it’s a football legend steeped in firsts and only. Introduced in 1968, it was hailed for its quality materials and “South American” style toe which brought the foot closer to the ball, thus improving touch. It was further enhanced and developed in the 70s. And in 1986, it passed 6 players, touched the ball 11 times, and scored 1 goal to seal its supremacy in the football realm. The King MII is available right now at soccer.com – with a $274.99 retail.